For a list of merit badge counselors, you can access them two different ways. First, you can contact your local Scout Office and they will be happy to provide you the information for merit badge counselors near you who can help you earn your next merit badge. 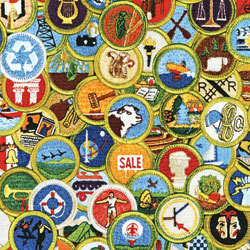 Second, you can login to your Scoutbook account where we are beginning to collect merit badge counselors. To access Scoutbook, click the image below.